If you're wanting to add to your investment portfolio or buy your first home, then this house could be the one. Offering a light filled living with open plan kitchen & lounge, 3 bedrooms (all with built in robes) and main bathroom with separate w/c. Extra features include double garage with drive thru access to the back yard, reverse cycle air conditioner and fireplace. 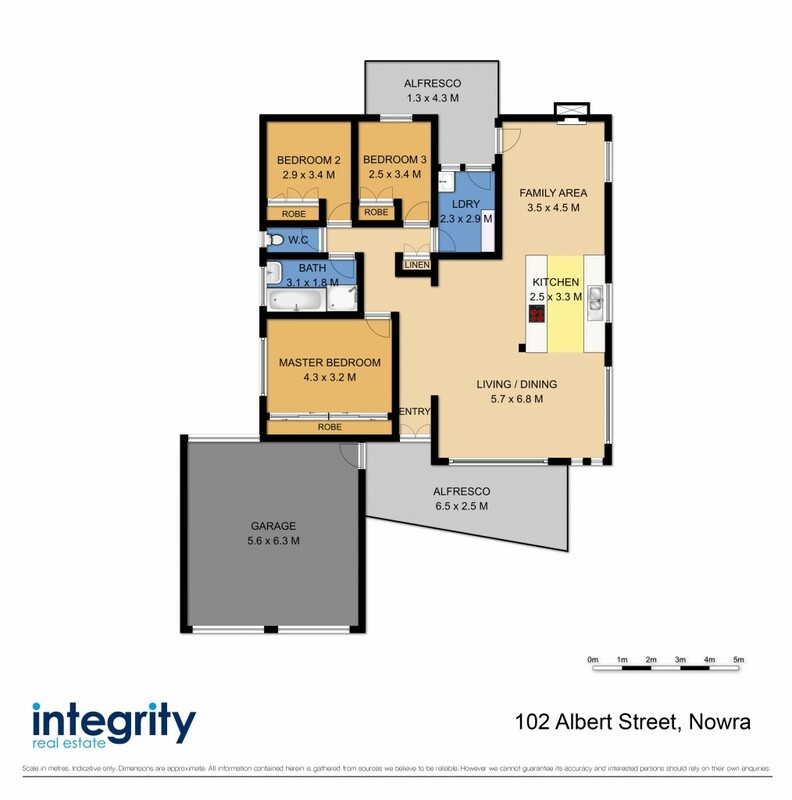 Enjoy as is or add your own touch, it's well located on a fabulous 695sqm approx block and is within close proximity to the Nowra CBD, HMAS Albatross, Shoalhaven University campus and public schools. This is a great opportunity to secure an investment or buy your first home.